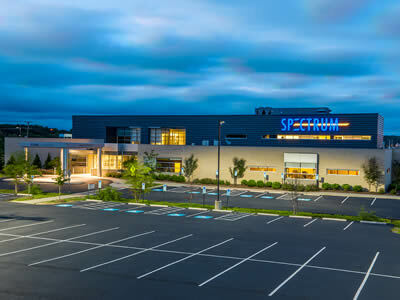 As the largest orthopaedic practice in North Canton, Ohio, Spectrum Orthopaedics is devoted to the diagnosis and treatment of adult and pediatric injuries and diseases of the musculoskeletal system. Our highly skilled and board-certified orthopedic surgeons and friendly staff are dedicated to providing you with the highest level of care and caring, all in a comfortable and compassionate environment. Our goal is to make every visit a positive one for you. Here, we treat you like family. We pay careful attention to your unique needs and we do everything in our power to help you get back to your routine as quickly as possible. We also understand that your time is valuable. So, for your convenience, we combined all of our services in one state-of-the-art building. At our spacious facility, you’ll find all the orthopaedic services you’ll need – from digital X-rays and MRI to procedures and physical therapy. Most important of all, you will find a team of medical professionals you can truly count on. For information about our services or to schedule an appointment with one of our orthopedic surgeons, call (330) 305-0838 or request an appointment online.